Ninemaidens produce traditionally brewed meads made with the finest Cornish honey from their apiaries and locally sourced fruit. 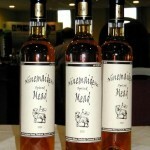 Often known as Metheglin, Spiced Mead is a restorative drink; a finely balanced brew of fermented floral honey with a unique blend of spices. 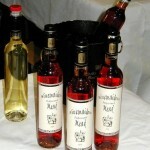 A melomel made from luscious berries at their most piquant! A refreshing drink simply made from the fermentation of honey and pressed fruit. 12.5% ABV. Sharp and fruity! Serve as an aperitif, as a mixer, or chilled with ice for a crisp and fresh summer taste. 12.5% ABV. This mead has an unadulterated, pure quality. 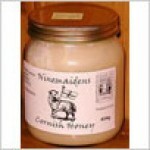 It is made from some of the finest Cornish honey Ninemaidens’ bees can produce. Perfect over ice on a summer’s evening, or as a winter reminder of warmer days. 14.5% ABV. Gwires is a crystal clear, vibrant spirit with a floral, honeyed bouquet and a warm rounded finish. 40% alcohol by volume. 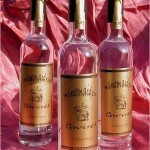 The name “Gwires” (pronounced gwi’rez) is taken from the Cornish word meaning alcoholic spirit, and it is produced by distilling the highest quality mead. 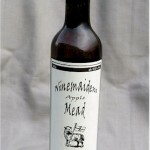 Inspired by the ancient drink of Cyser and made from the double fermentation of selected local apple juices and honey. 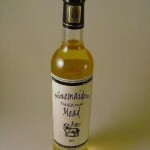 A medium dry mead at 12.5% ABV. Heather Mead is produced from the fermentation of Cornish heather honey to 14% ABV with aromas suggesting gorse and broom. Its bitter-sweet flavour has melon notes over a long, mellow finish. Kea Plums are uniquely Cornish: a small plum similar to a damson, they are too sharp to eat fresh and are traditionally used for jam making. 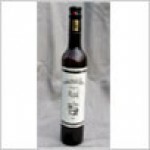 They provide an excellent blend to sweet honeyed mead. Award winning multi-floral Cornish honey.